For both gardener hobbyists and seasoned professionals, bulb planter tools are a must-have to save time and make gardening more efficient. Not only do bulb planters drastically reduce the time needed to plant bulbs, but they also maximize consistency and uniformity with the ability to form perfectly sized holes. These tools are either short or long-handled and often boast a spring-loaded mechanism that allows you to remove soil and then re-soil with ease. It’s important to remember that just because you are using a bulb planter doesn’t mean you won’t have to get down and dirty occasionally. If the handle is short and not spring-loaded, you’ll still have to dig out the soil every now and then. The best bulb planter tools are ones that are rust-resistant, made of durable steel, and that has a mechanism that lets you easily release the soil. You should also look for a planter that can make a hole between 2½ to 3½ inches in diameter as this is recommended for most types of bulbs. To help you find the best bulb planter tool for you, we carefully reviewed various products on Amazon and came up with the top three. Along with highlighting the best tools available online, we’ve also created a buying guide where we will detail the main features of bulb planter tools along with a section dedicated to the proper care and soil preparation. If you aren’t quite sure what type of product will suite you best, take a look at our buying guide and then revisit the product reviews to see what one is the best fit for you. Boasting numerous five-star reviews, this bulb planter sold by Edward Tools is one of the most popular on Amazon and inarguably the best tool for planting bulbs. Not only does it have excellent reviews, but it’s also the number one selling product in the bulb planter category. With this planter, you can plant all sorts of flowers including tulips, daffodils, and dahlias. Edward Tools is an online retailer of gardening and household products with an expansive collection of handheld tools. 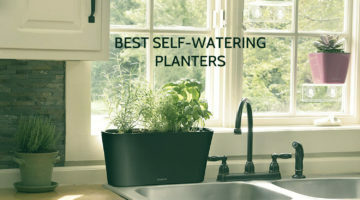 This specific planter costs less than $10 and comes with a lifetime warranty. If the product bends or breaks, Edward Tools will replace the planter for free. Most of the avid gardeners on Amazon note that this product is super sturdy and helps them plant bulbs at the right soil depth. This planter takes a once labor-extensive activity and makes it a breeze to plant large quantities of bulbs at a time. Made with reinforced steel, this bulb planter is practically unbreakable and built to handle even the most compacted soil. In addition to the compacted soil, the planter can also handle claylike dirt. The device comes with a depth marker (up to 4in) to help you plant multiple bulbs at consistent depths. No more guessing the depth or using a ruler only to end up with uneven flowers. By pushing and twisting the planter down into the ground, you can easily penetrate to the soil to create a spot for the bulb. To remove the soil from the planter, you just have to squeeze the handle to release the plug. Make sure to release the soil right on top of the bulb and then pat down the soil until it’s firm. The handle has an ergonomic design to keep your hand from blistering after using it repetitively. Despite the ergonomic handle, it’s still a good idea to use a soft pair of gardening gloves. 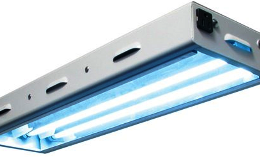 For less than $10, this is a solid product by a well-respected and trusted the brand. Opting for this product over using your hand will save you hours when it’s time to plant flowers this spring. If you prefer a tool you can use while standing, this 46in transplanting spade by Fiskars is a must-have and the best long-handled bulb planter. Fiskars is a Finnish brand that was founded in 1649. The global company makes durable products that “empower” people in their garden and home. The best part about this particular product is that you can step on the blade to big the hole – there’s no need to get on your knees and end up with an aching back. At just under $25, this is an excellent buy for its size and quality of materials. Given the size of the spade, you can use it for more than planting bulbs. The spade makes a good tool for loosening up soil, moving shrubs, and even digging holes for construction projects. In the unlikely scenario that the spade breaks, you’re covered under a lifetime warranty. Built with a 14-gauge steel blade and 18-gauge steel shaft, this spade is heavy-duty and made to last. The blade of the shovel is 6in wide and 15in long. A major advantage to this shovel is that it has a large D-shaped handle, so you can use both hands for maximum force. Designed with a shaft that fits the shape of your hand, you don’t have to worry about blisters or discomfort when you’re using this shovel. The welded steel design adds to the product’s longevity and keeps it from bending and buckling like competing shovels. Since the blade is welded to the shaft, the two pieces will never disconnect. Whether you have silty or loamy soil, this shovel can break through it. The shovel is a sharpened blade that will penetrate nearly all types of soil. Unlike other shovels, this transplanting blade boasts a powder-coated exterior to prevent rust and make cleaning easier. Another plus is that even though the shovel is built with durable steel, it only weighs 4.1lbs and isn’t hard to haul around with you when you’re working in the garden. Even if you just plant flowers once per year, the Fiskars 46in steel D-handle transplanting spade shovel is worth the investment. The last product to make our top three is this 40in bulb planter tool sold by Garden Weasel. 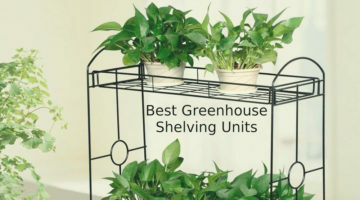 If you’re not familiar with Garden Weasel, they are a garden superstore based out of Missouri. You can find various product videos on their website, including the bulb planter. While this product is more expensive than the other two products on our list (roughly $35), the quality of the planter makes up for it. Like the planter by Fiskars, this planter tool is made of solid steel and won’t break on you (easily, that is). Garden Weasel is so confident in the quality of this product that they offer a lifetime warranty with it. Referred to as the “gardener’s best friend,” this bulb planter tool has heaps of positive reviews on Amazon, with most reviewers mentioning the product’s durability and ability to break through the tough soil. When Garden Weasel sets out to create a gardening tool, they go the extra mile. Not only is this planter hassle-free to use, but it also has a T-bar grip design that makes it comfortable to use for extended periods of time. The blade comes pre-sharpened and it’s ready to pierce through the ground right when you get it. Garden Weasel makes this product with carbon steel, a material that has higher durability and better heat distribution than standard steel. In addition to being more durable, carbon steel is resistant to rust. Using the planter tool is easy – simply grab the handle and put your foot on the footplate so your body weight will help penetrate the blade into the soil. The design of the tool lets you plant tons of bulbs in a short amount of time without overworking yourself. Whether you’re an active gardener or just looking for a tool to make your life easier, this bulb planter by Garden Weasel will certainly impress you. We also came up with a list of honorable mentions if one of the top three bulb planter tools didn’t catch your eye. All these tools are reasonably priced, made of high-quality materials, and have a number of positive reviews. 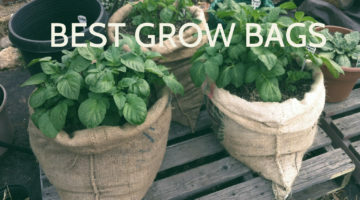 Even though some of them may have a few drawbacks, all in all they are solid choices as an alternative to the top three bulb planter tools. For less than $10, this Bong Plymouth tulip bulb planter is one of the cheaper options. The handheld tool measures 7.7in in length and 4in in width. Its powder-coated hammertone finish makes it rust-resistant and gives it a sleek look. Since it is a handheld planter, it does require you to get on your hands and knees and use some muscle. Even though it weighs just under ten ounces, the tool can break up compacted soil with ease. Given that there are no clear measuring marks on the tool, you will have to estimate the hole’s depth. Additionally, there is no quick release mechanism like other planters. Instead, you have to tap the side of the tool to for the soil to fall out. Although it’s one of the more expensive options ($44), this bulb planer by Yard Butler comes with a 30-day satisfaction guarantee and is made with powder-coated steel. This planter is 37in long and intended to be used while standing up. You can easily insert the tool into the ground, twist it, and form a hole that is 6in deep and 3in wide. No need to bend over and push the planter in with your hands. The hole size makes this product great for planting a wide variety of bulbs, ranging from tulips to lilies. This product just missed our top three list because some customers noted that the hole was too shallow and that the planter wasn’t strong enough to penetrate through extra though soil. 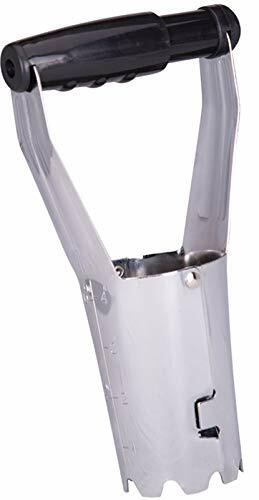 Sold by Flexrake, this adjustable hand-held bulb planter is made in the USA with chrome plated steel. The planter has a 4in long blade and digs a hole roughly 2.5-3in. in diameter. Once you’re done digging the hole, you just have to release the hinged handle for the soil to fall back into the hole. With its sturdy design, you will have no problems digging through clay-like soil or even grass. The molded poly grip is especially helpful to avoid blisters and sore hands after repetitive use. Flexrake sells the planter in pack sizes ranging from one to four. There is a discrete depth marker to help you plant your bulbs at consistent heights. Although most of the reviews are positive, a few customers mentioned the planter was not sturdy enough for their soil type. Nonetheless, most people are very pleased with this product and claim that it works great. This tulip bulb planter tool by Bond features an ergonomic design and a non-slip grip. 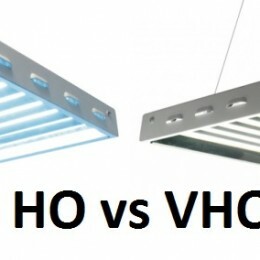 It’s available in a variety of colors including red, blue, green, and purple. Once you’re done digging, you can give the handle a little squeeze to release the soil back into the hole. According to most of the reviews on Amazon, this tool is very durable and works great for both soft and firm soil types. For less than $12, this is planter is a good choice if you aren’t looking to spend a fortune. While it isn’t fancy, this planter tool does what it claims to do. We didn’t select this product to be in our top three list because it’s not clear what material it’s made of. Since it appears to be tin, there’s a chance the tool could bend if you put too much pressure on it. The last tool to make our honorable mentions list is this bulb and crocus planter by DeWit. This hand bulb planter has a unique design and actually appears to be a traditional garden shovel at first glance. Constructed of hand-forged steel, this planter is built to handle even the most compact soil. The ash hardwood handle not only gives it an old-fashioned look but makes it comfortable to use for extended periods of time. In addition to its nostalgic appearance, the handle is made from wood that comes from Forest Stewardship Council (FSC) certified forests. With a length of 10.5in, this tool is easily portable but still requires you to get down on your knees while you work. The planter creates a hole 1.5in in diameter but can be made bigger by moving around the handle. The only downside to this product is that it requires more muscle power than some of the other planter tools. Bulb Planters are popular tools for digging narrow tools to accommodate underground flower buds. The planter draws out the soil in a cone-like shape that you can use to refill the hole after securing the bulb inside the ground. You can use these helpful tools in a variety of places including gardens (the most obvious), windowsill planters, and flower pots. The design of a bulb planter is relatively simple – it features a handle with a release mechanism, a body that holds the soil, and a frame that connects the handle to the body of the planter. The standard short-handled planter is best for recreational gardeners who plant flowers a couple of times each year. Anyone who uses a short-handled bulb planter needs to be physically capable of working on their knees and using their arm muscles to insert the tool into the soil. While a long-handled planter achieves the same function, it can be easier to use because you can step on it to penetrate the soil. Like recreational gardeners, commercial gardeners and landscaping companies can benefit from handheld bulb planters. These tools help landscapers maximize their productivity and profitability. For large-scale projects, drill bulb planters are the best option. Since these connect to a drill and require very little manual labor, they are perfect for planting hundreds of bulbs at a time. If you’re not experienced with a drill, it’s probably not the best idea to an electric bulb planter. It can be dangerous if you’re not careful and you need to be very precise to avoid damaging the landscaping or harming yourself. Many people compare bulb planters to apple corers. Like a bulb planter tool, an apple corer essentially hollows out the inside of an apple and pulls out the core. The bulb planter first penetrates the soil when the operator pushes it into the ground. Next, the gardener must pull up on the spring-loaded handle for the soil to lift. After the soil is removed, the bulb is ready to be placed in the ground. Simply release the handle and the soil will drop back into the hole. In summary, the handle is what triggers the tool to draw or release the soil. The body both holds and penetrates the soil. New to gardening or just ready to buy your first bulb planter? This buying guide will give you an inside look at both the main features and the additional features of bulb planter tools. A spring-loaded handle is a convenient mechanism that makes it easy to pull the soil out and release it back into the ground. If the tool doesn’t have a spring-loaded handle, you might have to shake it back and forth to get the soil to come out. Just because you’re using a bulb planter doesn’t mean your holes will all be the same size. A handful of these tools have measurement marks on the side, so you can dig uniform holes. Without measurement marks, it’s easy to end up with a lopsided flower bed. Everyone is guilty of leaving their tools outside every once in a while. Unfortunately, metal tools exposed to moisture end up getting a nice layer of rust. Power-coated steel is both rust and weather-resistant. When you buy a tool with powder-coated steel, you won’t have to attempt to create DIY methods to get rid of the rust. As the name suggests, carbon steel contains up to 2.1% carbon. If the steel isn’t powder-coated, this is the next best option. Carbon steel is more corrosion resistant than standard steel. If you aren’t using a pair of gloves while using a bulb planter tool, you might regret it the next day. Similar to the handlebars of a bike, rubber grips will provide comfort to your hands when you have to push down the planter or shift it back and forth to form the perfect hole. Bulb Planters aren’t a new phenomenon, in fact, they were even around in the 1950’s. One of the earliest long-handled bulb planters was invented by Jacob Goldstein in 1954. According to the patent, the main objective of Goldstein’s intention was to create a planter that the operator could use while standing up. His invention featured a depth gauge and an opening in the top where you could insert the bulb. Goldstein also aimed for the planter to be lightweight and portable. 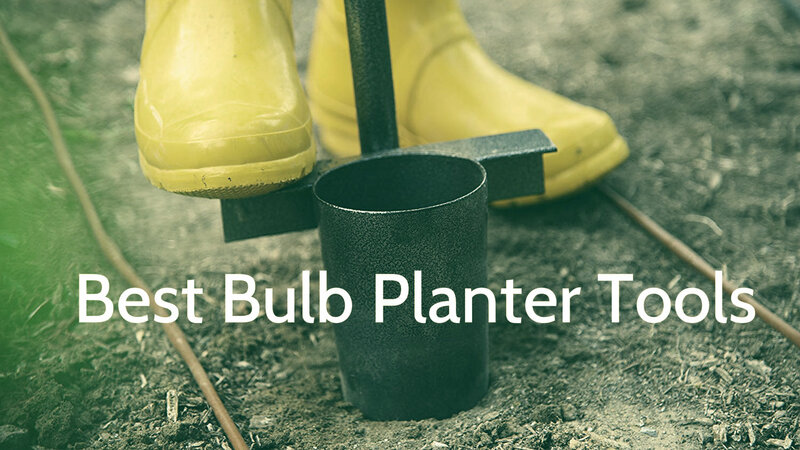 In addition to traditional planters, there are also electric bulb planters often referred to as “drill bulb planters.” The bulb planters are not entirely electric themselves but rather rely on the power of a power drill to spin. Often constructed of steel, these planter tools are designed to fit both electric and cordless drills. You’ll need steady concentration when using one of these tools, so you don’t drill too deep and end up with an oversized tool. Since these are just add-ons to your drill, the price ranges from $20 to $50. If you want a fully electric auger, expect to shell out at least a couple hundred dollars. Even though bulb planters are much easier to use than traditional planters, they can still take a toll on your hands. To protect your skin, you should consider buying a pair of bamboo working gloves sold by Pine Tree Tools. These gloves keep your hands cool while in the heat and act as a second layer of skin. Made with soft bamboo, these gloves are both breathable and comfortable (no skin irritation). If you buy a short-handled bulb planter, expect to be on the ground quite a bit. These gloves will keep your hands clean and prevent you from getting blisters when you push down on the planter to dig holes. If you’re in the market for a new pair of gardening gloves, make sure to check these bamboo gloves out. Using a rust-free planter in an adequate soil environment makes gardening so much more enjoyable. The good news is, there are techniques to modify your soil and remove rust from your planter without much hassle. By taking care of your planter and soil, you’ll avoid snapping your tool in half and increase the product’s longevity. 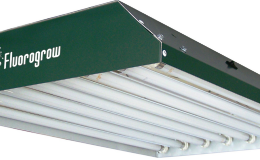 If your bulb planter doesn’t have powder-coated steel, there’s a good chance it could develop rust after exposure to air moisture. Bulb planters, screwdrivers, wrenches, and other household tools are all known to rust over time. Luckily, there’s a way to remove the rust and make your planter look brand-spankin’ new. To remove the rust, you’ll need all-purpose cleaning vinegar, a mop bucket, sponge, aluminum foil, and steel wool. The first step is to simply pour a few cups of the cleaning vinegar into the mop bucket and then place your planter into the vinegar. Cover the bucket with aluminum foil and then let it sit overnight. The next day you’ll want to take out the tool and rinse it off under cold water using a sponge. Don’t panic if the rust is still there. The last step is to take a piece of steel wool and use it to thoroughly scrape the rust off the blade and handle (if metal) of the bulb planter. Depending on where you live, you’ll have to properly prepare the soil before using a bulb planter. If the soil is dry, you should water it lightly with a sprinkler or spray bottle, so it is easier to work with. Avoid areas that are too moist because not only will digging be difficult, but the bulbs can also rot. For sandy or claylike soil, peat moss is a good additive to help the soil retain moisture. Before digging into the ground, make sure you know how deep to make the hole. The standard rule-of-thumb is that holes for large bulbs should be 8in deep and holes for smaller bulbs should be 5in in depth. With an automatic release mechanism and reinforced steel, this bulb planter by Edwards Tools is a great buy for less than $10. If it ever breaks, no need to worry – the company will replace it for free. The convenient measurement markings (up to 4 inches) makes it easy to plant a level flower bed. Take a look at this product and you’ll see why it’s the number one best-selling bulb planter. At just under $25 and measuring 46in, this transplanting spade by Fiskars is one of the most affordable for its size. The tool has an extra-large handle for two-handed control and comes with a lifetime warranty. This product serves a multitude of purposes. In addition to digging holes for bulbs, you can also use it to remove the roots of weeds in your backyard. You’ll have no problem digging through hard soil with this spade’s sharp blade. This is without a debt the best long-handled bulb planter. Sold by Garden Weasel, this 40in bulb planter tool is the real deal. It features a carbon steel exterior that is both rust and weather-resistant. The T-bar grip will keep your hands from aching or developing blisters after extended use. Garden Weasel claims this is a gardener’s “best friend,” and the reviewers seem to agree with that. Many reviewers rave about how this tool helped saved them from back pain and made gardening less time-consuming.